Some complaints have recently come to my attention regarding the lack of nutrition we're getting around here lately. The Brain is aware of this issue and would like you to know that it is (hopefully) a temporary condition caused by the Deluxe Super-Extended Sucktastic two-week case of PMS we've been enjoying, and the resulting bizarre cravings being sent to us via Urgent Instant Message from the Taste Buds. 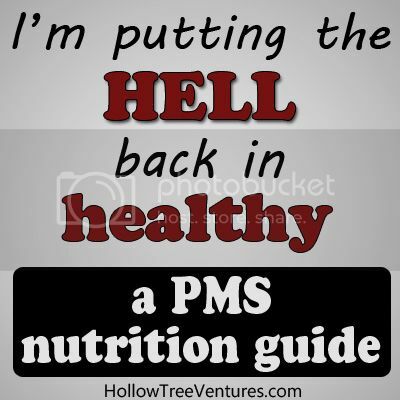 These urgent messages tell us which dietary choices will keep the Deluxe Murderous PMS Hormones at bay, and they override any requests from various other sectors of the body for Real Food. Failure to comply with the Taste Buds' demands could result in a flood of Deluxe PMS Hormones washing over the Brain, and cause the subsequent loss of the Brain's control over the Muscles. Left to their own devices, the Muscles would likely begin strangling nearby life forms within minutes. Any complaints can be taken up with the Uterus directly. To help combat the problem, the following new Nutrition Rules will be in effect until further notice. Jellybeans and Sour Patch Kids will now be processed as fruit. Likewise, anything dipped in ranch dressing will be considered a vegetable. Acceptable substitutes for our former allotment of wheat bread include (but are not limited to) pancakes, soft pretzels with extra salt, graham crackers in chocolate pudding, Cheetos, and Pop Tarts. Speaking of chocolate pudding, we have re-categorized it under Beverages. Any food that is not coated in chocolate should be coated in melted cheese. Be prepared to consume Midol in quantities normally reserved to measure elephant tranquilizers. This dosage may be washed down with coffee, straight Coffee Mate without the coffee, soda, wine, or maple syrup. If we stick together, Body, we can get through this. If the condition lasts too much longer, the Liver may be called upon to put in some overtime. Which reminds me, Alcohol is also temporarily being considered a vegetable. P.S. I don't know a great deal about anatomy, but if whoever in there who's closest to the Uterus could give it a swift kick in the Fallopian Tubes, I'd be much obliged. Please click the banner below to vote, while I go fry up a gallon of cheese and wash it down with a cool, refreshing glass of pudding (don't judge me, I'm just taking orders). Linked up with Finding the Funny #12! I'll have a few words with your uterus when I get home. @thirdparty, you stay away from my uterus. These hormones have reminded her that she's still holding a grudge over that 10 pound baby you made her carry around. Hmmm... I do what I want. Smoking is definitely a plus to the health-o-meter, at least John's. My smoking prevents me from killing him at LEAST once per day! I go up and down. Sometimes I'm hellaciously healthy in the food and exercise department. Then, come holidays, any ol' holiday at all, I'm in food hell. Slowly climbing the Chee-toh stained rungs upward toward the light. Hey, jellybeans and Sour Patch Kids are not only fruit, they are also fat free. Fat free was my mantra during my "buying Swedish fish in bulk" years. Visiting from Finding the Funny. You are consistently funny, so I seek you out now. I do love these! Ha! I love the ranch dressing making everything a vegetable. Can we get this made into a law somehow? @logyexpress, I forgot about the fat free benefits, too! This might very well become my menu, long term. I'll write a book about it and be rich and famous (until everybody who followed my advice sues me). Thanks so much for visiting, and for coming back; that means a lot to me! @Kelley, I'm currently lobbying my Congressfolk about that. They let pizza be a vegetable, right? I think ranch might even have bits of vegetable in it (it has flecks of SOMETHING, anyway) so it's a shoo-in. Wait. Pizza is a vegetable? I am SO HEALTHY! Hysterical post! Thanks for the giggles! @JD, exactly! Also, stretching on the couch while yawning loudly is exercise. :) Thanks for being here! @Kelley - my pleasure, as always! I love this!! I think I will need to initiate some similar rules with my own Body. @Julia, I highly recommend it (don't listen to the complaints from my thighs - my taste buds are soooo happy)! I LOVE THIS!!!! I wish this was so true!! @Kimber, I have to pretend it is true, otherwise I'm pretty sure my body would stage a coup. Seriously - the only calcium I get comes from a splash of milk in my coffee. I'm a little surprised I stay upright! @Debbie, glad you liked it! :) Thanks for being here! Don't forget that Reese's Peanut Butter Cups are high in protein, and chocolate is high in antioxidants. The only reason I'm going to the gym AT ALL is the daycare and so I can down six of those suckers in one sitting. Fantastic post. Thanks. I needed that. Especially this week. Glad you liked it - and I LOVE your logic!